Looking to make DIY drawer dividers and get organized? Check out these great ideas. Are you the type of person who can't find a pair of socks in the morning because they're mixed in with your underwear, gloves and other items? I have to admit, that's me. Or rather, that was me. One morning I couldn't find my favorite pair of wool socks and I decided it was time to get organized. For real this time. The first step? DIY drawer dividers. Couldn't be easier to make and has done WONDERS for my peace of mind. Turns out being organized– RE: being able to find what you want when you want — is a great way to calm those frayed nerves. Great for those who love wood working. Find the tutorial here. Watch how Kristine organizes her make up in this neat video. Got some left over cardboard? Create a DIY drawer organizer! Click here for details. Organize your drawer with a cereal box! So cheap and easy to work with. See here how. Repurpose those old CD cases into great organizational tools. Details here. So neat and tidy! Learn how to do this here. Simple organizing idea using wooden boards. Go here and find out how to make. Learn this with family handyman. Find out how to make these gorgeous DIY drawer dividers here. No woods or cardboard? Use a PVC pipe to help you organize your drawer. Check here for the details! A super easy paper box to organize your drawers. See here how. Time to organize those underwear drawers. Don”t delay — find how to make this here. 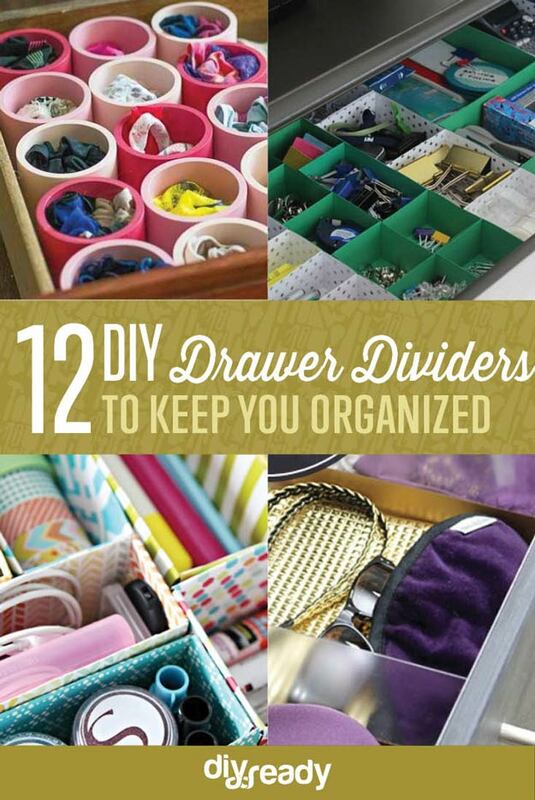 Which DIY drawer divider are you going to try today? Let us know below in the comments!